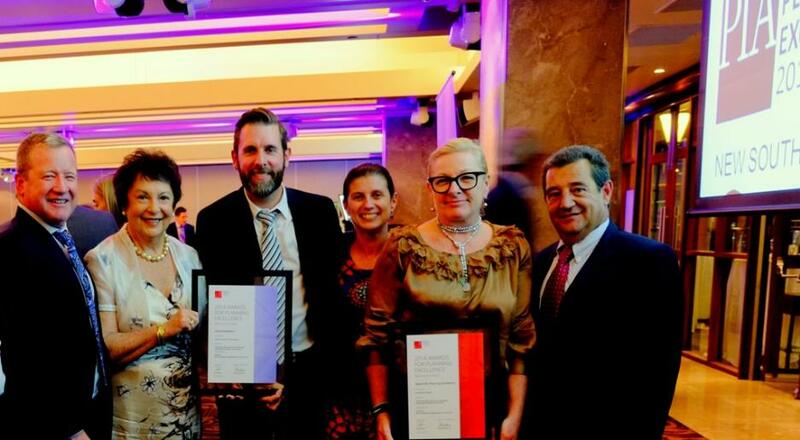 PIA President’s Award for Planning Excellence and Commendation in the Hard Won Victory for Planning, Advocacy and Partnership Delivering Transport and Health - (L-R) Mark Ferguson, Cr Jean Hay, Ben Taylor, Veronica Lee, Cr Jacqueline Townsend and Cr Jose Menano-Pires. 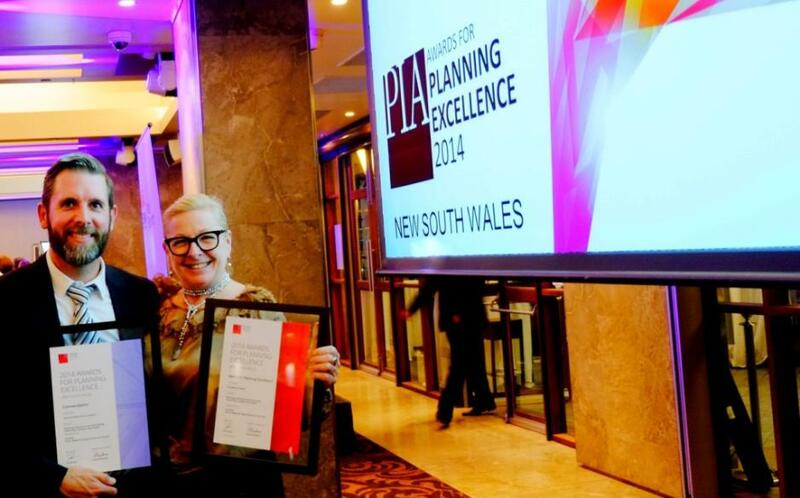 The highest honour for excellence in NSW planning has been conferred on Manly, Mosman, Pittwater and Warringah councils, with SHOROC awarded the ‘President’s Award’ by the Planning Institute of Australia (PIA) at its annual gala ceremony on Wednesday evening (5.11.2014). The award, along with a commendation in the ‘Hard Won Victory’ category, was for SHOROC’s Shaping Our Future strategy together with the advocacy and partnership with the NSW and Commonwealth governments, which has resulted in over $1 billion investment in health and transport infrastructure for the region. “We are extremely honoured to have been selected from all planning projects in NSW for this prestigious award,” said Cr Jacqueline Townsend SHOROC President and Mayor of Pittwater. •	Achievement of all objectives, including a $633 million NSW Government investment in the region’s roads and public transport, and construction of a major new regional hospital and health services. Central to the program was the establishment of a regional coalition of Mayors and local NSW MPs. “The partnership between the Mayors and NSW MPs The Hon. Mike Baird MP, The Hon. Jillian Skinner MP, The Hon. Brad Hazzard MP, The Hon. Rob Stokes MP and Jonathan O’Dea MP has been vital and I acknowledge the leadership of our local Members to bring about these great results,” said Cr Townsend. The Planning Institute of Australia (PIA) Awards is an annual program for Planning Excellence that demonstrate leading practice, leadership and achievement in planning and the planning profession. SHOROC Executive Director Ben Taylor and SHOROC President Cr Jacqueline Townsend.